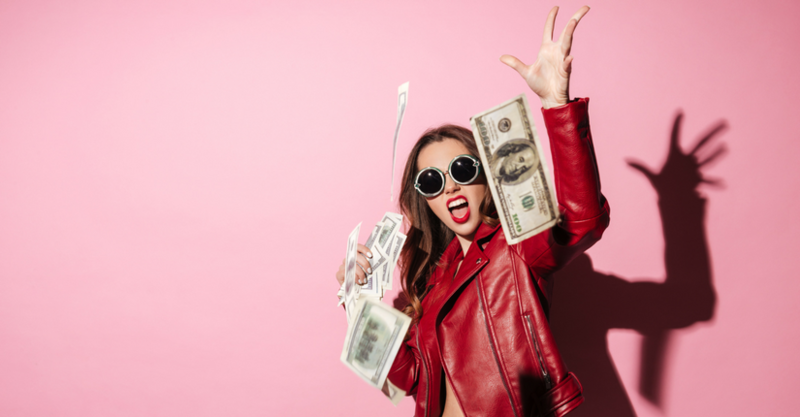 In this article, we give you 29 ways to make money fast. Sometimes life sneaks up on you, and need to make cash fast. Or maybe you just want some extra money to pay down debt or invest. Well, thanks to technology, it’s easier than ever to make quick cash. 3. Get paid to have an app on your phone. There’s an app that will pay you just for having it on your phone. You heard me right. They will pay you $50 per year per device just for having your app on there! Talk about the ultimate passive income opportunity! If this sounds like something you’re interested in, click here to sign up! 4. Invest in dividend-paying stocks and get a $5 bonus. We love dividends here at Money Done Right. When you invest in a dividend-paying stock, you are acquiring a portion of a company that somebody else built and that thousands of other people work for, and they are giving you a portion of their profits. There are plenty of great places to open up a stock-investing account, but the one that’s getting us hot and bothered at the moment is Acorns. And for a limited time, Acorns is giving a sweet $5 sign-up bonus to Money Done Right readers (click here). Acorns is great because it does all the work for you. You tell it your age and financial goals, and it develops a custom portfolio for you based on empirical data, not the latest hot stock tip. 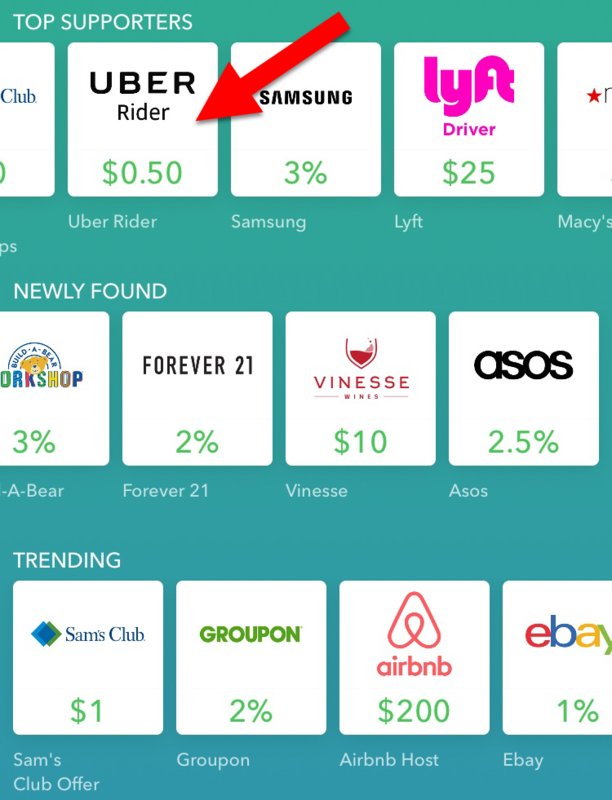 You also get free money deposited into your dividend stocks simply for shopping with brands through the Acorns app at no extra charge to you. For example, last week I took an Uber, and I got $0.50 deposited into my Acorns account! There are a lot more other cool features, but for now, I suggest you download Acorns for yourself to see what it can do for you. Click here to sign up for Acorns and get your $5 welcome bonus! 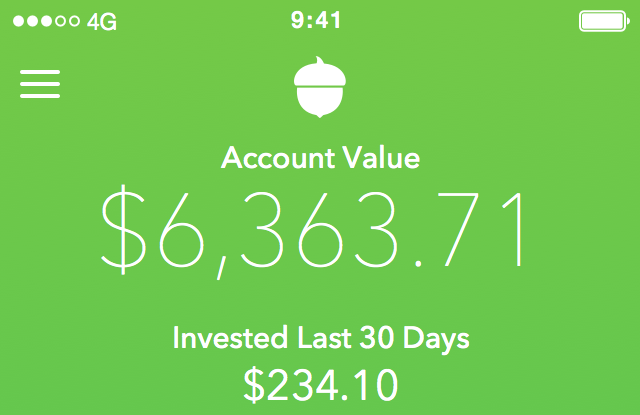 Acorns has developed an incredible, easy-to-use platform. No matter if the stock market goes up or done, we still get dividends deposited into our Acorns account every quarter! Real estate is one of the classic forms of making money: you own property, and others pay you for using it. Not so anymore with the rise of private real estate investing platforms. We personally invest in one of these platforms called Fundrise. Fundrise lets everyday people invest in top deals across the nation — way better deals than most people could find on their own. It also lets you diversify your real estate holdings. For example, I am invested in deals in 10 different states! And for the first 90 days of your investment, Fundrise will buy your investment back at the original investment amount if for any reason you are not satisfied. 6. Lend money in $25 increments earning 4-6%. Lending out money is one of the oldest ways to make money. It’s essentially renting out your money for either people to use, and the rent you charge is known as the interest rate. Now, in the old days, if you wanted to lend money to somebody in particular, you were taking on a pretty risky business, unless he or she put up some form of collateral. But now, thanks to technology, you can spread out the risk by only lending your money in $25 increments. Well, let’s say Borrower A needs a $25,000 loan. Instead of going to one entity, like a bank or rich person, to borrow the full $25,000 — which would be very risky to that one entity — he or she borrows $25 from 1,000 people. This scenario presents much less risk because the most any single investor could lose is only $25. Such an arrangement would have been administratively impossible just 15 years ago. But thanks to the wonders of the Internet, it is now very possible, and the peer-to-peer lending industry, as it’s known, is thriving for borrowers and investors alike. Click here if you have $25 and you’d like to earn way more interest than the bank pays you. 7. Make $1,000s playing trivia. What’s the capital of Germany? Who was the first Beatle to get married? What year did Game of Thrones debut? If you answered Berlin, John Lennon, and 2011 to the questions above, you may want to check out this new FREE trivia app that pays you huge cash prizes for your useless unique knowledge! Today’s prize is worth over $1,000! Will you be the winner? Get paid every time someone uses your slogan! Click here to learn more about making money from slogans. 9. Get paid to shop on Amazon. Shoptracker will instantly send you a free $3 Visa gift card, plus another $3 for every month you keep it installed if you sign up through our link. Click here to start getting paid to shop on Amazon. 10. Rent out your car. Do you simply drive to work and leave your car sitting in a parking lot all day? Or are you going on a vacation soon while your car will be left unused at home? If so, renting out your automobile while you’re not using it could be an easy source of income for you. There is a website called Turo that acts as a private rental car listing-service. When you rent your car through Turo, your car is protected against physical damage, up to its actual cash value, for collision and most “comprehensive” causes, including theft. You are also covered by $1 million in liability insurance. Click here to start making money by renting out your car through Turo. Some money-making ideas require an investment of money, and others require an investment of time. Blogging is definitely the latter. Rather than putting a lot of money in upfront, you put a lot of time in upfront and reap the income streams later. In the span of little over a year, we have been able to grow this blog into generating for us over $28,000 of revenue last month (June 2018). Sign up for our FREE blogging e-course below to learn how to start your own money-making blog! 12. Rent out your spare room. Renting out lodging can be an incredible way to earn extra money. Gladly, those days are over. If you’d like to sign up to become an Airbnb host, check out my article Make Extra Money with Airbnb. 13. Get paid to play video games. This i10 another one of those money-making ideas where you get paid to do something you enjoy, so it’s not really work at all. Are you good behind the camera? Then you can make a side income licensing your photos online for others to download. For example, I get all my pictures for this blog from various stock photo sites on the Internet. And every time I download a photo, the photographer who uploaded it gets a royalty! Licensing one picture that you take and upload now can give you cash flow forever as it’s downloaded again and again! Click here to learn how you can get paid for your photos from home. E-books can be an incredible source of recurring residual income, month after month and year after year. You put in a lot of work now, and you profit for the rest of your life. And thanks to technology, it’s easier than ever to become a published author. You can do it all yourself on platforms like Amazon Kindle! Click here to learn a step-by-step system for making money with Kindle publishing. 16. Start an auto-Tweet business. Even with the rise of platforms such as Instagram and Snapchat, Twitter is still thriving with over 500,000,000 tweets tweeted every single day. And there is actually a way to make money on Twitter by promoting products in tweets and getting paid for it. The best part is that you can set your tweets on autopilot (“auto-tweeting”), meaning that auto-tweeting could potentially be a decent stream of income for you. Click here to learn more about getting started with auto-Tweeting. 17. Get paid to have an app on your phone. They will pay you $50 per year per device just for having your app on there! If getting paid simply for having an app on your phone interests you, click here to learn more! 18. Start a drop shipping business. You may have heard of people making six-figure income with drop shipping but aren’t quite sure what exactly drop shipping is. Find common household items that interest you. Easily set up an online storefront on Shopify, Clickfunnels, or Amazon (takes less than an hour). Connect your online storefront to a credit card processor and bank account (takes less than 30 minutes). Drive traffic to your online storefront. When people purchase from your online store, you purchase the item from a third party who ships it directly to the customer and collect the difference as profit. You don’t have to worry about storing inventory or packaging up products at the post office. You are simply a facilitator for the transaction. And the good news is that you can eventually grow your drop shipping business to the point where it’s on auto-pilot, making it a profitable stream of income for you. Click here to learn how to start your own drop shipping business with online entrepreneur Tai Lopez. 19. Make money off other people’s Youtube videos. Everybody knows that Youtube creators and vloggers can make a fortune. But a little-known secret is that you can actually make money off of other people’s Youtube videos. So someone else creates the content, but you profit from it. Click here to learn how to start making money on Youtube without having to create videos. 20. Get cash back on stuff you buy anyway. 21. Play a free slots app to win money (plus get 300 bonus coins!). Click here to get your 300-coin bonus and start playing Long Game to win real cash! 22. This app pays you to get gas. GetUpside is a free app that gives you cash back for every gas station receipt you submit! Also, if you sign up through our link, you get a 20¢ per gallon bonus the first time you fill up! If you drive a lot (or even if you don’t), this can add up to a decent chunk of change! Click here to download GetUpside and get a 20¢ per gallon bonus for using our link! 23. Get paid to use less electricity. Arcadia Power is a free service that rewards you for saving energy when it matters most to the grid and the environment. You will receive a notification about once per week to save energy for an hour. If you save energy, you receive cash. Click here to learn more about Arcadia Power and start getting paid to save energy. 24. Check your credit score. By simply increasing your credit score a little bit, you can, for example, pay less in interest, which will grow your wealth in the long-term.We’ve found that Credit Sesame is the best free website that can calculate and monitor your credit score. Click here to get Credit Sesame for free — it only takes 90 seconds! 25. Use a free money-saving bot. 26. Get paid to walk. I just made $10 for walking, paid in cash via PayPal. Click here to check out Sweatcoin now and start getting paid to walk! 27. See if you can pay less for homeowners or renters insurance. Similar to some of the other items in this list, this one is more about savings than income. But the end result of saving an extra $100 a month and making an extra $100 a month is the same: they both increase to your net worth. And theoretically, saving is better than income because while you don’t pay taxes on additional savings, you do have to pay taxes on additional income! One expense that slips by most people without being checked every now and then is homeowners or renters insurance. See, the traditional insurance company model is getting more and more outdated with their high deductibles and premiums. Take new insurance company Lemonade for example. They take a simple flat fee, and everything else goes into a collective claims pool that they protect for their users in case they need to make a claim. Since Lemonade doesn’t profit from the claims pool (like other, older insurance companies), leftover money is donated to charities that users choose when they sign up. Lemonade’s self-stated goal is to transform insurance from a necessary evil into a social good. They offer renters insurance for as low as $5 a month and homeowners insurance for as low as $25 a month. Click here to check your rates in 90 seconds with Lemonade and see if you can save some money! 28. Get paid to have an ad on your car. You’re familiar with billboard advertising, yes? Someone buys or builds a billboard, and then people pay that billboard owner to put their advertisements there. Pretty sweet gig for the billboard owner, right? Now, what if I told you that your car could be a billboard? It’s true. There are companies out there who will pay you to advertise on your car. Click here to get more information on legitimate companies that will pay you to advertise their business on your car. 29. Get paid to lose weight. You can bet as little or as much as you want, but obviously the more you bet, the more you stand to win! Also, you can bet on your weight loss of any period between 6 and 18 months. Click here to see how much you could win with HealthyWage! 30. Invest in cryptocurrencies like Bitcoin. I would recommend only investing in cryptocurrencies after you’ve invested in more stable investment opportunities such as stocks and real estate. Nevertheless, many people have become unlikely millionaires by investing in cryptocurrencies, and the concept of cryptocurrencies is not without merit. However, you have to know what you’re doing, or you’ll get creamed in the cryptocurrency market. Click here to learn more about cryptocurrency investing. With so many apps hitting the market every day, it’s very easy for any given app to get lost in the crowd. That’s where app testers come in. App testers test the app, trying out its various facets and features, and write an honest review. These reviews helps the app get seen in the Google Play Store and Apple App Store, which creates publicity for the app. App developers also take the recommendations of app testers to make improvements to their apps. Click here to learn how to start your own app testing business. 32. Post on Facebook for small businesses. In the business world today, social media is a must. It’s no longer optional like it was 10 years ago. Either a business is on social media, or it will fail. And this reality is scaring older business owners out of their minds. That’s where Facebook, Pinterest, and Instagram-savvy you come in. Click here to learn how you can make over $700 a week helping businesses with their social media accounts. 33. Sell used books on Amazon. Check out the book below. It’s called Disney’s Haunted Mansion: Pop-Up Book. I bet you were shocked to learn that some children’s book from the 90s could fetch that kind of dough. Imagine you bought that book for $2 and sold it for that price. That’s a pretty good profit margin, wouldn’t you say? You could do that a few times a day on the side, couldn’t you? And with so many people willing to part with old books like this for pennies, you can see how you can start to make some serious money selling used books like this. Click here to learn how you can get started selling used books on Amazon. 34. Do voice over work from home. If you don’t mind being recorded, you may be interested in the various voice over jobs from home that have crept up online over the years. Every day, there are literally thousands of pieces of content produced — from TV commercials, web presentations, radio jingles, and video game characters — that need voice over work. And the majority of these content creators don’t want to pay a Hollywood actor or actress thousands of dollars, so they’re willing to pay everyday people $100 – $1,500 for lending their voice for 10 – 180 minutes. I personally know some people who make $150 – $200 for just 10 minutes of work. Pretty good, yeah? And the opportunities are endless! Click here to learn how to start a voice over business. 35. Walk dogs through Rover. If you love animals and are good at taking care of them, this can be an extremely enjoyable way for you to make extra cash. Rover is the nation’s largest network of dog walkers, and you can become one of them! Companies worldwide are desperately searching for people to type up their ads and post them online. You can work part-time or full-time. It’s up to you. Click here to learn how you can get paid to post ads online. 37. Track Your Wealth in Personal Capital and Get a $20 Bonus. Personal Capital isn’t so much a way to make money as it is to manage your moneypas. What is Personal Capital? 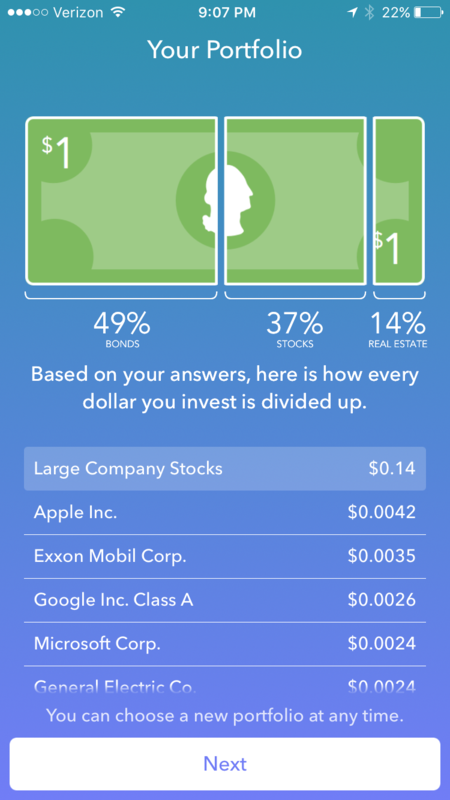 It’s a free net worth and investment tracking website and app. Your account balances are updated in real time! We personally use it to track our wealth and love the easy-to-use interface. Also, for a limited time, Personal Capital is offering a free $20 Amazon gift card to new users who create an account through our $20 Bonus Link and links their first investment account. Click here to sign up for Personal Capital and claim your $20 Amazon sign-up bonus! up a correspondence more about your post on AOL? I need a specialist in this house to solve my problem. Asking questions are actually pleasant thing if you are not understanding anything entirely, however this article offers nice understanding yet. This is an amazing list of quick and easy ways to make some quick money at home. We just had our first child and I currently work 60+ hours a week. I also just turned 30 so my eye is on the clock. I have been looking for another source of income so I can spend time on what’s important.